Ultra talented musician David Bowie has died. 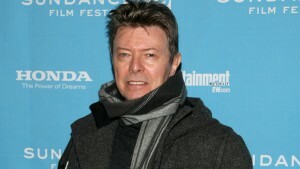 The musician’s death was confirmed by his representative who said Bowie was 69. The singer was battling cancer for over the past year according to a post on his Facebook page. The statement, dated January 10, said that Bowie died peacefully surrounded by family following his 18-month courageous battle with cancer. Bowie, a songwriter, singer, fashion icon and actor, has been influential in some way to close to every modern artist, from Madonna to Lorde to Lady Gaga to U2. His influence is felt in new wave, alternative and punk rock music, ambient, dance, electronic and beyond. His music over the decades has encompassed glam rock, pop, R&B, dance, funk, soul, hard rock, progressive rock and more. Bowie was born in London as David Robert Jones, and reportedly took his stage name during the 1960s as homage to Jim Bowie the U.S. pioneer and as a way to avoid any confusion with Davy Jones of the Monkees. He was married in 1969 for the first time and had a son two years later, who he named Zowie Bowie and is known today as Duncan Jones a film director. Bowie divorced his first wife Angela Barnett in 1980. Bowie, due to his extraordinary gender-bending wardrobe, fluid sexuality and outrageous style became irresistible to women and men alike. In the 1980s, he released two dance albums that went platinum with Let’s Dance and Tonight in 1983 and 1984 respectively. In 1992, Bowie married Iman the supermodel and in 2000, they had a daughter Alexandria Zahra Jones. Over the next decade, life was much quieter for Bowie. In 2004, during his Reality tour, the singer had a heart attack. In 2006, he was given a Grammy Lifetime Achievement Award and then announced he would take time off. Until 2013, he did not release another album. Then on January 8, 2016, his 69th birthday, he released his final and 25th album Blackstar, which was well received by critics and fans alike. The album’s title track Lazarus was the basis for a stage musical that opened last week in New York City.